George F. Cicotte founded the Cicotte Law Firm in 2002. Mr. Cicotte's entire career has focused on employee benefits, beginning in 1989 as a pension actuary and, since 1995, as an ERISA attorney. He serves clients throughout the U.S., with a preponderance in the western and southwestern states. Before establishing the Cicotte Law Firm, Mr. Cicotte practiced law in Washington, D.C. with Covington & Burling, consistently ranked as one of the most selective law firms in the nation. Mr. Cicotte's broad employee benefits practice involves such diverse issues as health and retirement plan design, representing employers in labor relations matters, federal taxation, assisting health plans with HIPAA, COBRA and all other requirements and advising on a myriad of employment and fiduciary responsibility issues. In addition to counseling with clients on compliance and transactional matters the Firm frequently defends ERISA lawsuits. Mr. Cicotte has spoken throughout the country for groups such as the Western Pension and Benefits Conference, The Institute for Applied Management and Law, The Society for Human Resource Management, Deloitte & Touche Consulting, Lorman Education Services, The National Association of Insurance and Financial Advisors, The National Employer Conference and The Zero Alpha Group. He has authored and co-written several articles and publications including the employee benefits chapter of The Contingent Workforce - Business and Legal strategies, published by Law Journal Press. 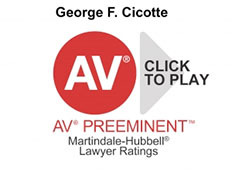 Mr. Cicotte is rated AV by Martindale-Hubbell, the premier attorney rating service. This video describes what this rating means. 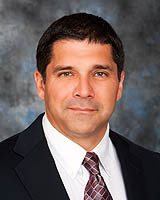 The AV designation indicates that Mr. Cicotte has been recognized by other attorneys and judges as having achieved the highest standards of legal ability and ethical conduct. Ms. Lukin is a senior associate with the Cicotte law firm. Diane hails from the Yakima Valley, and is pleased to be able to return close to home to practice the ERISA law skills she previously developed in major cities including Dallas and Atlanta. Ms. Lukin received her Juris Doctor from the Florida State University College of Law, with honors. She subsequently earned a Master of Laws in taxation from the University of Florida and a certificate in employee benefits law from Georgetown University. 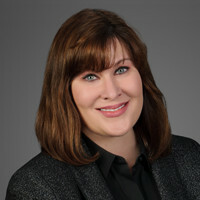 Ms. Lukin is a member of the Washington State Bar, as well as the Florida bar. Mr. Hodson represents management before federal and state courts and administrative agencies in all aspects of employment law litigation. His representation has included such areas of expertise as wrongful termination, unlawful discrimination and harassment, retaliation, wage and hour, workplace violence, leaves of absence, unfair competition and misappropriation of trade secrets, breach of contract and defamation. Mr. Hodson's practice includes advising management in all areas of employment and labor law, including employee training, discipline and termination decisions, employment policies and procedures, employment, arbitration and trade secret agreements, required leaves of absence, employee benefit issues, prevention of union organizing, wage and hour issues, and various other employment related state and federal statutes. His expertise also includes effective use of alternative dispute resolution mechanisms including formal and informal arbitration and mediation. 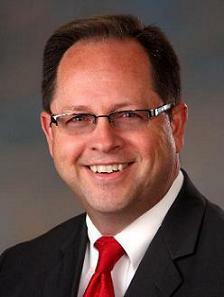 Mr. Hodson is a member of the Labor and Employment Law Sections of state and county bar associations. Mr. Hodson has contributed articles dealing with wage and hour issues to a bi-weekly Employment Law Monitor and has published a law review comment regarding application of federal discrimination laws to religious entities. Vanessa L. Vance is a benefits paralegal with the Cicotte Law Firm. She has over 11 years of professional experience in retirement plan administration. Her responsibilities have included completion of plan valuations, plan maintenance, Form 5500 government reporting, compliance testing, and preparation of plan documents for qualified defined contribution plans. Vanessa also excels at maintaining client rapport and is an experienced office manager. Before joining The Cicotte Law Firm, Ms. Vance was a Pension Administrator and FSA Technician with Petersen Hastings Investment Management and a Pension Administrator with Randall & Hurley Inc. and APEX Benefits Administration. Design by Nolan Sundrud and Pat Heard.